Hines Global REIT Inc had acquired 818 Bourke Street, an office building located in the Docklands Precinct of Melbourne, for $152.5 million. GPT Group, one of Australia’s largest publicly trades REITs. The office building at 818 Bourke Street was constructed in 2007 by the Lend Lease Group. The eight storey building, covers 23,322 square metres of land, with ground floor retail and two levels of above ground car parks. The property offers unobstructed waterfront views, incorporates sustainable design and has received a 5.5-star NABERS water rating and a 5-star NABERS energy rating. Sherri Schugart, President and CEO of Hines Global REIT said the desired location attracted themselves to the property. 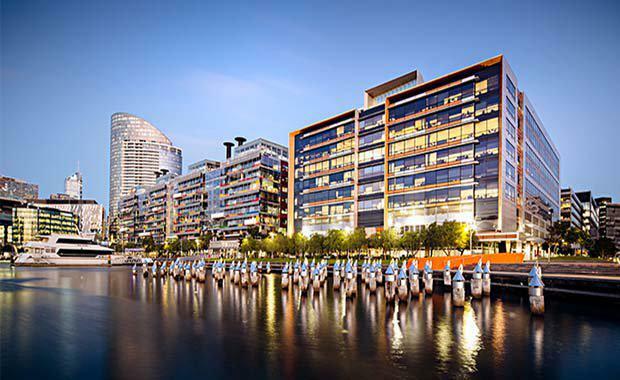 “We are attracted to this opportunity due to the project’s desirable location in the Docklands, recent construction and institutional quality tenant base that offers a strong credit profile,” Ms Schugart said. David Warneford, Managing Director of Hines in Sydney said the office building is a high-quality asset for Hines Global REIT. 818 Bourke Street is 98 per cent leased to three office tenants – AMP, Ericsson Australia and Infosys – along with several ground floor retail occupants. In Australia, Hines Global REIT also owns 144 Montague Street and 825 Ann Street in Brisbane, 100 Brookes Street in Fortitude Valley and 465 Victoria Street in Sydney.